Word Feud (Colecovision, 1984) RARE Tested Working!!!!!!!!!!!!! 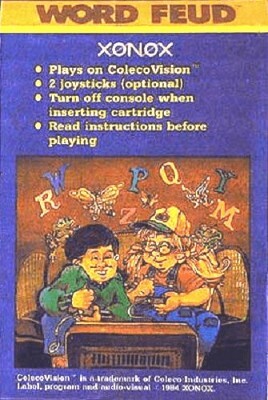 Word Feud (Colecovision, 1984) RARE! Word Feud (ColecoVision, 1984) Cartridge in Excellent Condition - Free Shipping!